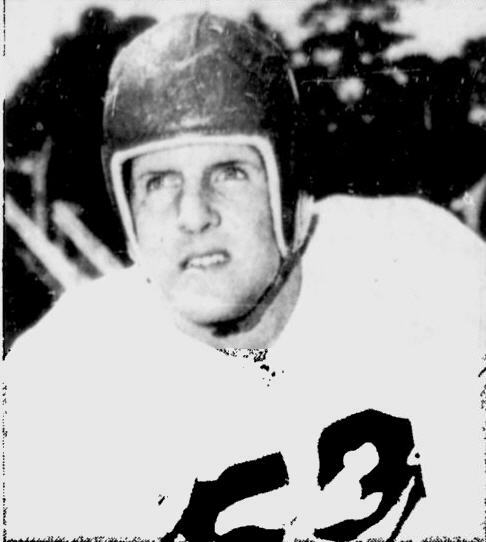 After playing high school in Montreal at Loyola, Ralph Toohy joined the Alouettes in thei rsecond season in 1947. Toohy played both offensive and defensive end for the Als. 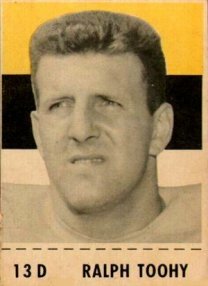 Toohy played five seasons for Montreal (1947-51) and then played with the Hamilton Tiger-Cats for another seven years (1952-58). The statistics are spotty for those years, with individual stats only starting in the East in 1954. Toohy's best recorded season offensively is 17 catches in 1954. Toohy appeared in four Grey Cup games, winning three (1949 with Montreal, 1953 and 1957 with Hamilton) and losing one (1958 with Hamilton). Toohy won an East All-Star at End in 1948 and was on Ted Reeves' All-Star team that year as well. Toohy repeated his East All-Star at End in 1949 and had a second team East All-Star in 1950. 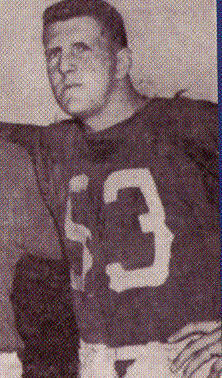 In 1953, with Hamilton, Toohy won an East All-Star at linebacker. Ralph Toohy passed away on July 19, 1998 at the age of 71.